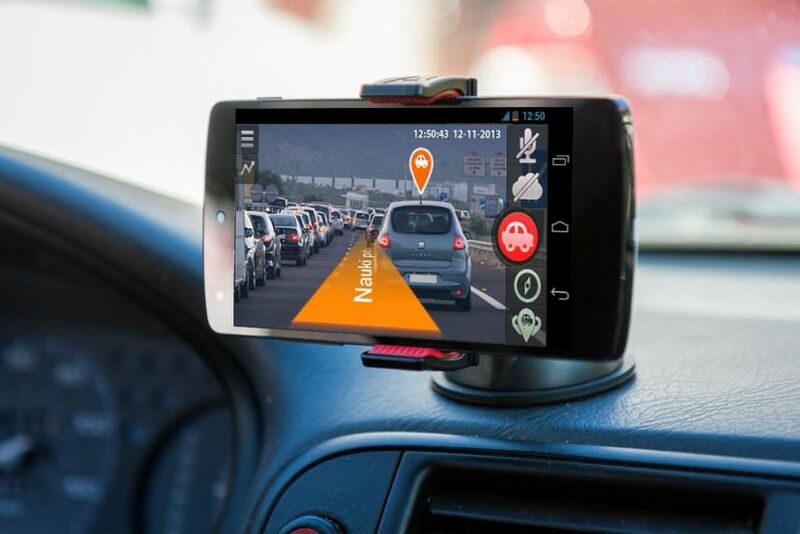 Dash Cam are relatively cheap, but for those looking into owning one but doesn’t have the budget, if you’re not sure you need a dash cam at all, perhaps you can consider converting your old smartphone as a temporary dashcam video recorder for your journey. Always go for a quality product over quantity, my advice is a branded dash cam is well worth the investment at Amazon, go for branded brands such as Garmin, Philips, BlackVue and etc. A GoPro is equally good as a dash cam. Smartphone has a smaller Field of View, meaning to say you capture less details. This is important because the whole point of having a dash cam is to capture as much details as possible. Most smartphone comes with a Medium / Standard FOV, whereas a dedicated DashCam has a wide FOV. This is a hardware issue, no app can ever solve this. Dedicated Dash Cam comes with a sensitive sensor for night time shooting, smartphone doesn’t have a night mode. Possible overheating or locking up due to long hours of usage. Shortened lifespan of smartphone and SD-memory card, because smartphones are not build to record video none stop, it might break at any moment, if you are unlucky, it might break when you needed it the most. The only advantage you have is money. You do not have a spend a single cent if you already own an old unused smartphone. Works great on Android 8.0 Oreo / Android 9.0 [ Popsicle, Pancakes or Pie ] smartphones such as Samsung Galaxy, Huawei Mate, Oppo, Vivo, XiaoMi, and Nokia. 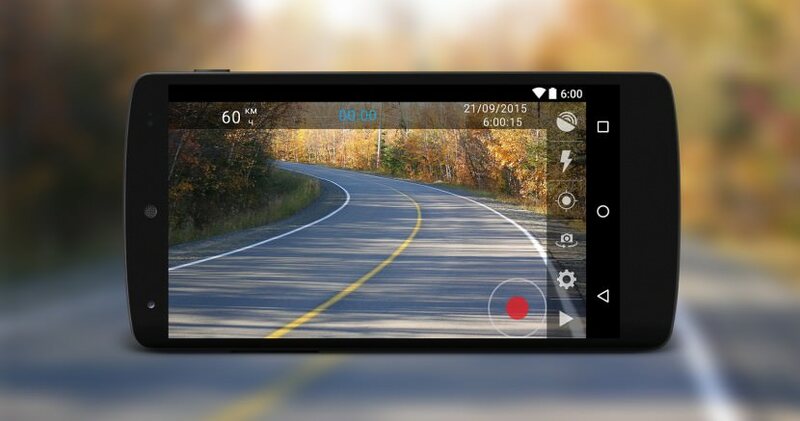 DriveRecorder is a free and car dash camera app which can record the video when driving, and it will give you an extra pair of eyes when driving. In the future, we will keep adding more features if this app really helps you, therefore, please rate this app to let us know if this app is helpful to you. 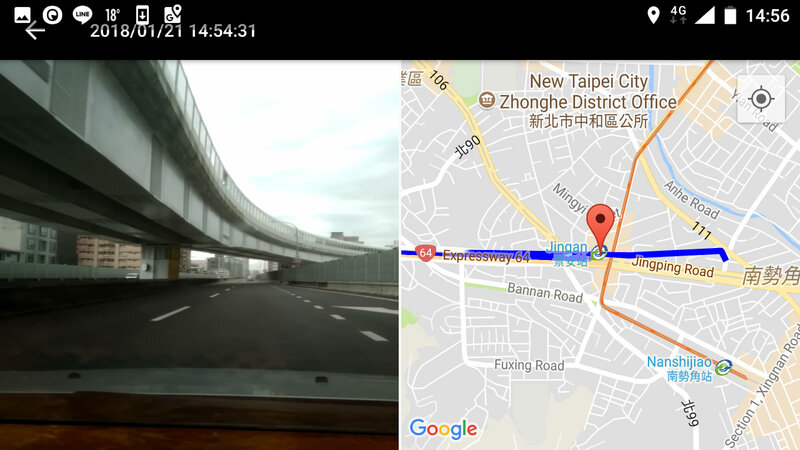 CamOnRoad is a free dash cam application for your smartphone, transforming it into the advanced car DVR with GPS navigation features based on augmented reality. You no longer need to buy a separate dash cam to improve your road safety or to buy a separate GPS navigation device to reach your destination. 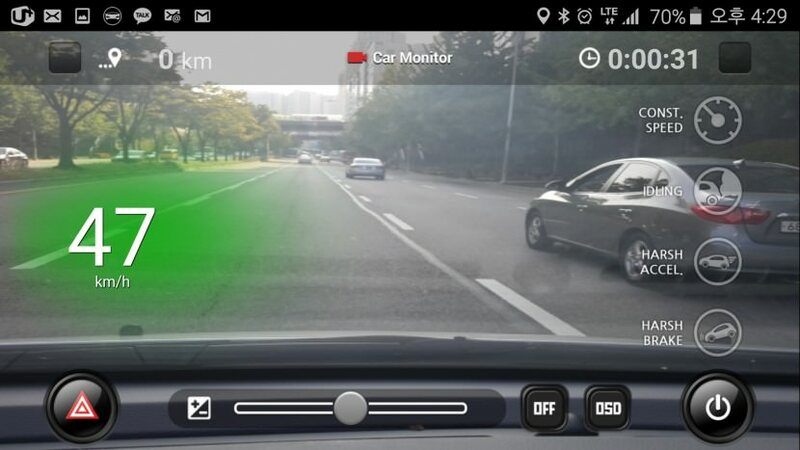 Use CamOnRoad application for both purposes: as the car blackbox and as the awesome video-navigation system. Moreover speed cameras notifications are available in the app. Continuous Background Recorder (Continue recording as long as the battery is charged in background. This is the newest program in the world DVRs (dashboard camera , DVR) video registrator AVR! It has a simple and intuitive user interface of and packed with features. All you need to fix the UTB smartphone near head-on car window everything else she will do it myself! 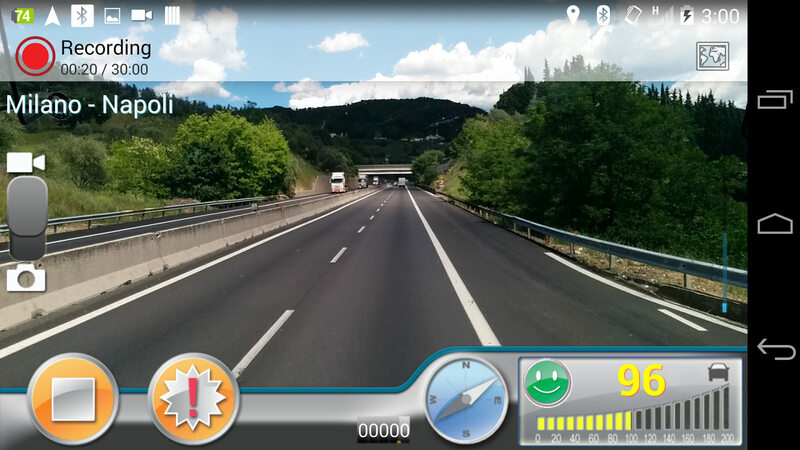 User-friendly DashCam Travel application used as a car camera (blackbox, dash camera, dashboard, road video recorder) to the windscreen of a car for daily riding. It’s very useful to save videos about: traffic accidents, providing evidence for insurance, aggressive drivers, unexpected situations or interesting moments. The speed, date-time and all graphics can be hard stored in the video. It is very important in either an accident or proving to speed camera. VIDEO – 4K 2160p, FullHD 1080p, HD 720p, VGA 480p. LIMITATION – Can limit max. length of video for 1-60 min. Recording automatically continues with new file. 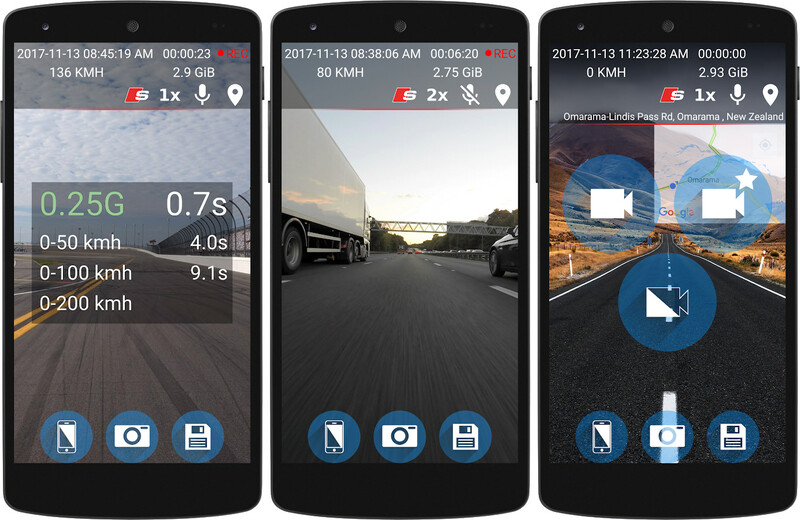 CaroO Free Driving Recorder is a free and lite version of CaroO Pro Driving Recorder which supports full pack of features including video dashcam with collision detection, driving track recorder with GPS function, and car-diagnosis and monitoring with OBD-II device. 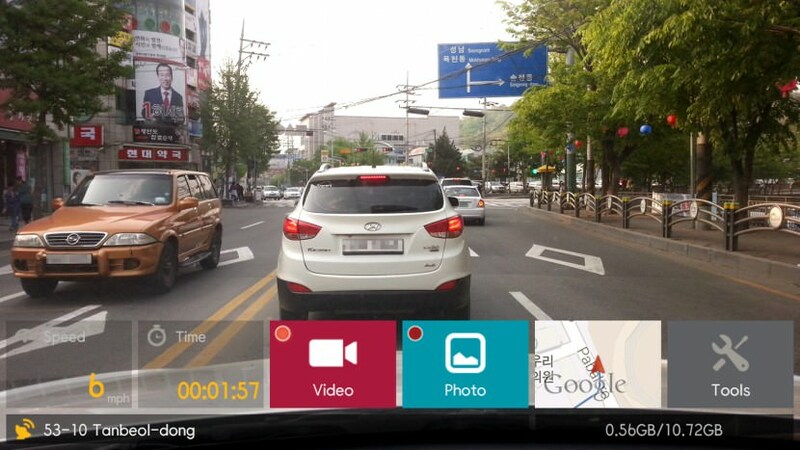 You can use video event recorder function and car-monitoring function separately or together. 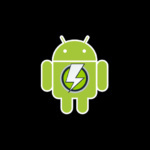 Experience the stable background operation as well as no gaps between recorded files on Android 4.1 or higher devices! Hi, is there a dash cam app that records on both the rear and front cameras simultaneously? I doubt so, even if there is, there might not be enough processing power to handle ( record and save data ) both front and back camera at the same time. Cam on road can, but only if your phone supports both cameras at once. My asus ZenFone 2 laser doesn’t. Do you have a least of phone who can support dual recording? like I phone and samsung galaxy? Recently I bought Car Camera app from Google Play. This one is paid but it was worth the money. Seems to be missing a rotary recording but they claim in description it will be available this month. You may want to try a great free app called Open Camera, it has the cam spin you’re looking for that allows using either front or rear cams. I have two unused android phones. One I want to mount rear facing in the rear window, the other in the usial placement location in front window. I’m in a real need for a bluetooth app that will let me control the rear facing phone/camera from my front facing cam. Needless to say, I cannot find one app, that works! If anyone knows of a bluetooth app that will allow this, I would greatly appreciate the help. 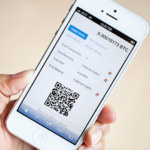 Great article, I was looking for Falcon 360+ IOS apps. Is there any app for Falcon Zero 360+? Among the reasons not to use a cellphone is “Shortened lifespan of smartphone and SD-memory card, because smartphones are not build to record video none stop, it might break at any moment, if you are unlucky, it might break when you needed it the most.” However, my experience with dashcam’s is that they also have relatively short lifespans (from a few months to maybe a couple of years at the most) and when they fail, it’s their DVR (recording) component that fails — and the driver doesn’t know this without trying to play back recent video. My current dashcam (– my fifth in the last six years –) is failing intermittently and did not record the last two of the last three incidents I witnessed this month. // I can’t help but wonder if the durability of a cellphone is any worse than a dashcam’s. Is there a dash cam app that can automatically upload the dash cam video to YouTube or Google Drive while driving so everything is saved without running out of space? maybe you can sync the ‘video’ folder with DropBox, but you’ll probably consume too much bandwidth. 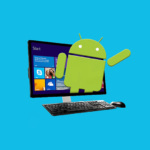 Space is never a problem for these apps, they will auto-rewrite on older files. In the event of emergency, you’ll have to quickly save that specific video file to a separate folder. I ran into a similar issue. I have an old Nexus 5 I tried using but it is a 16G model and none of the apps really work for that. Ended up trying one called smart dashcam pro which is supposed to record video only when it detects sudden movements. The phone gets a little hot but it is working so far though I need to run a wifi hotspot with my current phone to use the free version of the app which is a pain. Can I use any of these apps with a peripheral micro-USB webcam? I don’t want to have the phone sitting directly on my dash. a webcam? is the framerate fast enough? even if it is, the resolution will be too low to even make out the car number. dash cam travel record in portrait/landscape mode, automatic day/night scene of the camera, infinity focus. It can limit max. length of video 1-60 min. and max. number of records 1-20 so you can re-write old files. My moto supports both front n back but people being concerned with storage. That’s why the app has the setting where you can make it record 5g of data then if you weren’t in an accident or nothing exciting happened it deletes that 5g n immediately starts to record again. It’s a looping process. It’s perfect especially for like crappy iPhones that you can’t expand the storage on board. I have a 64g phone with a 64 g card an on the phone I’ve only used 11G. So storage I don’t worry about. An androids still have the cloud storages too. So just set it to record 7g. If there’s nothing on there you want you just let it delete n start recording immediately after. Then wham you get into a front end collision let it run until everything is done. Words are exchanges, paperwork, the fistfight, etc etc. Then go in and hit save. Bam! All set. That’s why they’re developers, because they are very smart. Open Dash Cam should be on the list. It allows to run other apps in the background.